Things have been back to crazy busy mode this week for both Errol and I, and so it wasn’t until last night that we got to sit down with him and his kids to watch the latest episode of Doctor Who. Somehow despite the wait I managed not to be spoiled beforehand on this absolute gut wrench of an episode. So…let’s talk about “Kill The Moon”. Oh yes, and this goes without saying, but spoilers ahead. We’re not going to talk about the craziness of even the possibility of humanity surviving without the moon (more than cell phones and tides would be affected, people). And we’re not going to talk about the idea that the moon is a giant, cosmic egg with gigantic, terrifying bacteria (seriously terrifying). No, we’re going to talk about what has to be one of the most brutal acts of the Doctor since I first saw the series: the moment he non-chalantly abandons Clara and, really, all of Earth to fix the problem themselves. Not because he must try and find an answer elsewhere. Not because he’s in danger somewhere else. But because, as he describes it with a chilling casualness, “This is not my moon”. This is one hell of an episode to unpack. 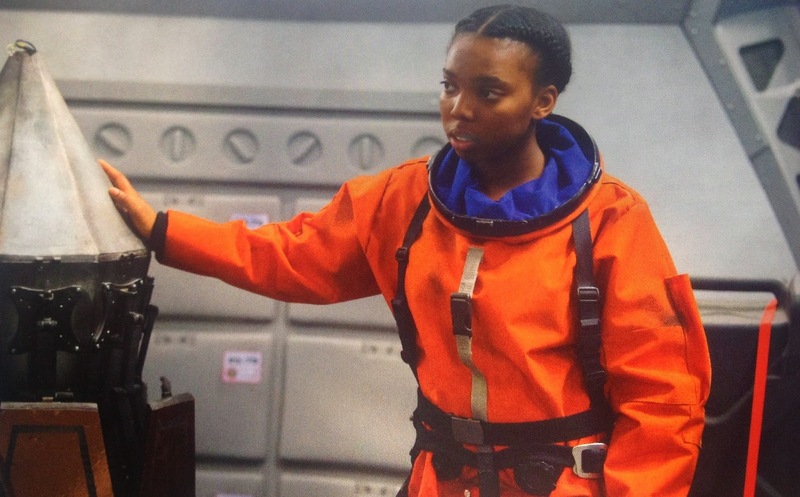 Never in any episode of the reboot has the Doctor ever just abandoned a companion let alone the entire Earth when it had mere moments to live. It’s been one of the defining traits of the Doctor so far: sure, he might be delayed, unconscious, or distracted by confronting another enemy elsewhere, but he will always, always show up at the last moment to save the day. 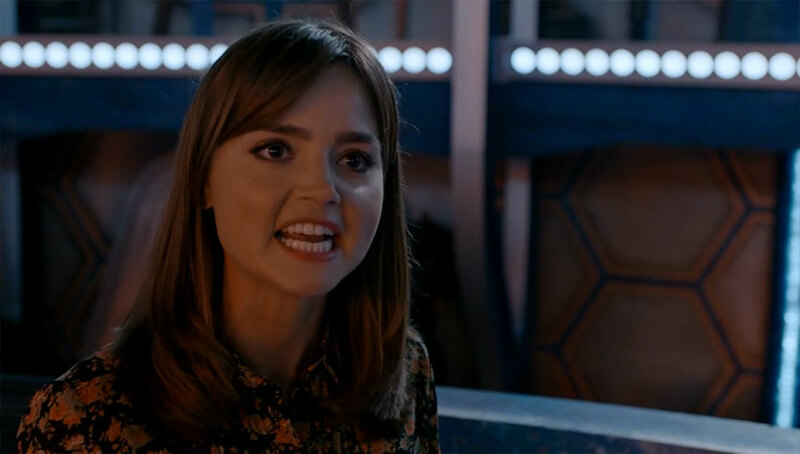 Not here as we see Clara staring terrified at the countdown to a nuke faced with an incredibly difficult decision: Kill an unborn creature, who might be an alien but is still just an infant, and spare humanity a terrible fate? Or take their chances, let it be born, and risk the Earth being thrown into chaos because of it? On one side of her is Courtney, the troubled but innocent teen who refuses to believe a baby of any sort could do harm. On the other is the astronaut (apologies I can’t remember her name) who is older, more hardened and has seen the devastation wrought on Earth already. To her, the decision is difficult but necessary and clear. And then there’s Clara in the middle, torn, indecisive and terrified to be left with this. Even when she gets the clever idea to ask the entire population of Earth (Turn lights off for nukes, on for none), their decision is one made out of pure fear as each of their lights goes out and the plea for nuking the moon is clear. Clara learns a hard lesson. It’s a lesson that anyone in a democracy learns: what the people want isn’t necessarily what should be done. And even then, what should be done is never, ever clear. I cannot stress how wonderfully this problem is presented. There is no clear solution (well, there is, but at the time we don’t know it). The episode is slow and predictable to start. While some I’ve spoken to were bothered with the slow pace I was impressed by it. It made the sudden switch all the more shocking.We all know the Doctor’s love of Earth. We know of his even greater love of new and weird species. We know of his hatred of killing. And because of that, we thought that this would be his decision. And then he was gone. And we, the audience, end up feeling just as alone and betrayed as Clara. Of course everything worked out in the end. The moon baby somehow laid another moon egg. Humanity looked up at the amazing site and realized that maybe this whole space thing is worth exploring (Chris Hadfield’s tweets were not quite enough, it seems). Courtney got to be a non-annoying teenage character which is difficult to pull off. But then there is that last scene. Clara calls the Doctor out. The Doctor defends himself to a degree, but you can see it affects him. This is simply put…a very difficult and brilliant scene. Again, both sides have a point. 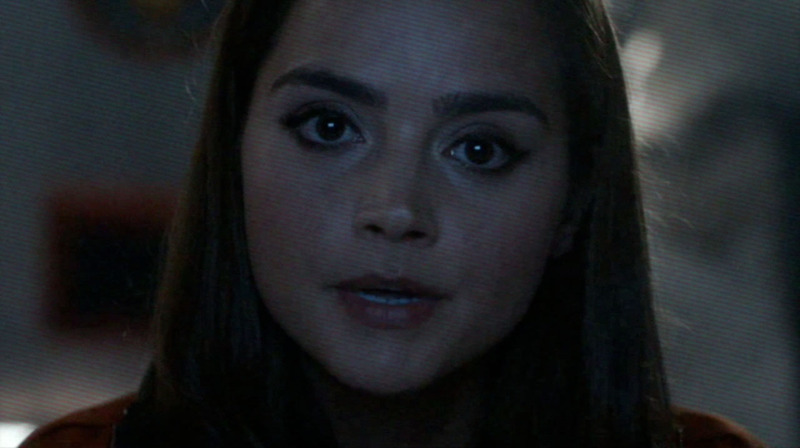 Yes, Clara and humanity need to be able to make their own decisions. They need those training wheels off. But I remember the first time my dad let go of that bike. I wasn’t expecting it. I begged him not to. I crashed after about ten metres. And I was devastated he would do something like that without telling me first. That is exactly how this scene plays out and Peter Capaldi and Jenna Coleman Act. The. Hell out of it. As hard as it was to watch, I was right there with Clara. The Doctor pushed just a bit too far and Clara finally reached her breaking point. The great thing about this is that both characters were right in everything they were saying. He’s right to tell her that it’s time she made her own decisions. She’s right to call him patronizing as he has been doing this whole season. At first, I was just as upset as Clara was. 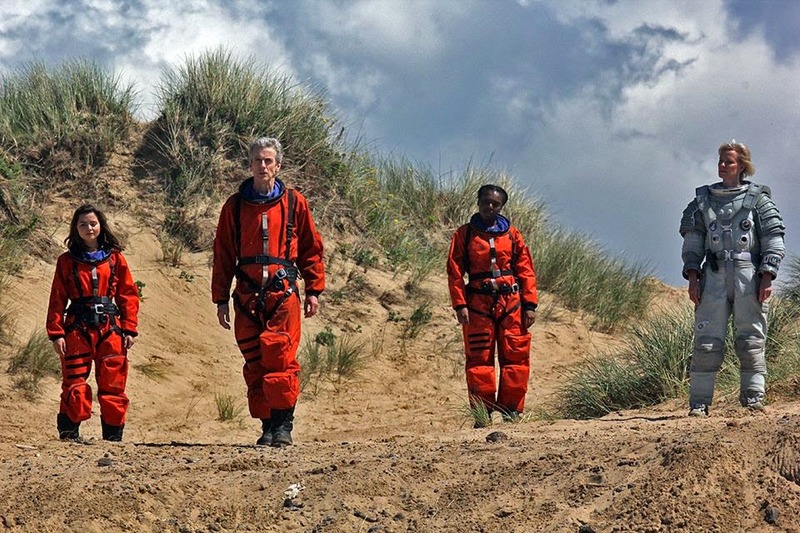 The Doctor has done a lot of things, but abandoning has never been one of them. So of course he should be taken to task for his tactless actions. It goes against everything that’s been set up so far. Imagine the 9th, 10th or 11th Doctors pulling something like that. You just can’t picture it. But then I thought about those Doctors. 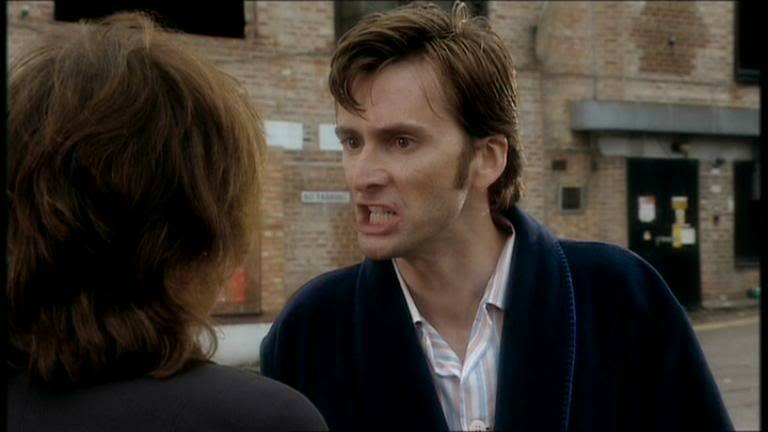 And I thought back to an episode which I still maintain as one of my most despised episodes: The Christmas Invasion. And I thought about one of the main reasons I was so bothered by it and continue to be bothered by it: the Doctor’s harsh judgement of humanity for making an incredibly difficult decision and his need to always be the one saving them. Think about it. In the 10th Doctor’s eyes, humans are wonderous creatures but they are also creatures that should never be left on their own to make their own decisions because inevitably they will make the wrong ones. It was always up to him to guide them, to make those decisions for them and then explain them afterwards. In that episode, as the Doctor watches in horror as the alien invaders explode during their retreat, Harriet Jones says something that I still to this day completely agree with: the Doctor will not always be there. And if those aliens come back, humanity does not have the amazing technology the Doctor does to avoid total destruction. His response always struck me as far too judgemental and far too harsh, like an overly angry parent whose kid has just punched another kid. He does not attempt to understand why. He does not attempt to teach alternatives. He simply passes judgement and punishes a human who made the only decision she knew how to. Fast foward to Capaldi and that moment. It was brutal, it was harsh, but this was a different sort of Doctor, the sort that no longer wants to be responsible for humanity, the sort that is ready to see them grow up and make their own decisions. Are his methods cruel? Yes. But his performance shows that he does not do this out of malice. Humanity has grown up, and it’s time to see what they will do. Unfortunately, it cost him his friendship with Clara in the process. I can see this one going down as one of the most divisive episodes of the reboot amongst fans. Personally, the more I think about it, the more I really like this episode. It’s complex, it’s tough to watch at the end, but it’s also something we haven’t seen yet in a Doctor. Things could get very interesting after this. I’ll be very interested to see how this Doctor operates without a companion in the next episode. 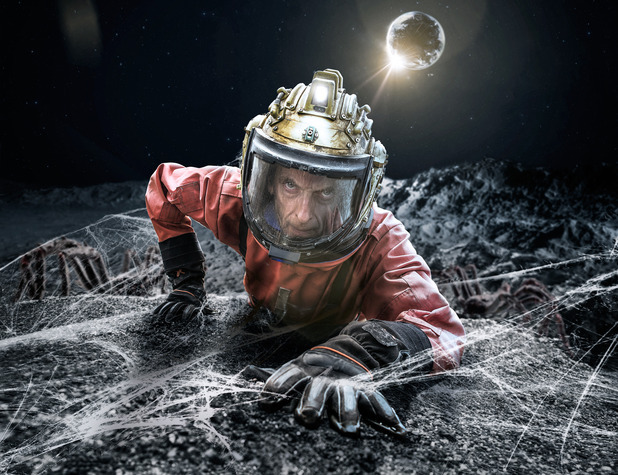 Posted on October 9, 2014, in ramblings and tagged doctor who, kill the moon. Bookmark the permalink. 4 Comments. That last scene made the entire episode worth it, regardless of the controversy. I was mostly blindsided by the bad science and confused by the plot to really have an opionion, but then that last scene hit and…. O.O It’s just…it’s…yeah. That. It’s chilling, though. You’re right about the Doctor letting humanity grow up and all that, and I didn’t get that part…but all I could think of was what would Ten say? What happened to “You need to get yourself a new dictionary. And when you do look up the world ‘genocide’ and you’ll see a little picture of me standing there and the caption will read OVER MY DEAD BODY.” That’s what I see as the biggest betrayal. It’s one thing to let humanity grow up. But goodness gracious, start out with something a little less serious then exterminating the only member of a race you know NOTHING about!!! And the other thought I took away was being very disappointed that we didn’t get to see the creature up close or learn more about it or talk to it or anything. I felt a bit cheated about that. My one theory is that the creature is the space whale that carried England 2 on it’s back in Episode 2, Season 5 :D.
I could be remembering wrong (I didn’t find the episode as enjoyable and most of it has been replaced with other TV show stuff) but I remember him mentioning after the moon hatched he stated that this was the day the people on earth decided to take to the skies and explore space. I see where you are coming from with your statements but how I saw it was similar to all his talk on “Fixed point of time”. He knows so much of the Earth and it’s past and future, he probably knew that those events would happen. While he could have changed it slightly by just not allowing the nuke to happen at all, would humanity have taken to the skies if he just made that choice? By asking the world what they thought should happen, that got everyone looking. Out of fear or curiosity, doesn’t matter, they were looking when it hatched and decided they wanted more than to just live on earth and wanted to explore. Had he stayed around, I’m sure Clara would have thought similar to you, that the Doctor would make a choice for her at the last second. By leaving, he forced Clara to make the choice. I’d like to think he knew she would make the right one and he just wanted to show her that. To show her she can make the hard choice without him instead of just blindly following him and letting him just do whatever. To show that these trips have hard choices. Yes, he could have done it with something easier, but he was right. This wasn’t his choice to make. He said his piece. They needed to take the action. I personally like this new doctor and his way of thinking. He knows he can’t always do right by everyone. He can’t save everyone and he doesn’t always make the right choice. By letting Clara make the hard choice and being blunt, he’s showing he’s showing he’s not perfect. He’s also showing he’s not going to lie to make someone feel better. I like the honesty. Oh, actually, I’m in complete agreement with you. He needs people like Clara to be able to take charge and the only way to teach them is unfortunately this tough love approach. Like I said, i was devastated when my dad let go of that bike, but I would not have learned to ride it otherwise. It’s just I was justifying Clara’s feelings too. I think it was the right thing, but the Doctor not realizing the impact it would have on Clara shows he sort of bungled the emotional side of things.